A PORTION OF COZY GREENS® PROFITS GO TO CHARITY. As a company, it’s our mission to create love & happiness in the lives of all that we touch. 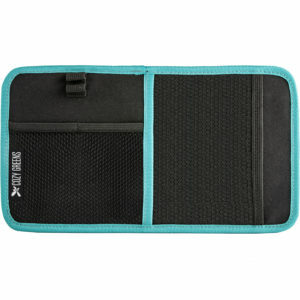 You will love your new vehicle sun visor organizer by Cozy Greens! Tired of digging through the glove box or center counsel for your important paperwork? Or losing your MP3 player, sunglasses or cell phone in the seats? 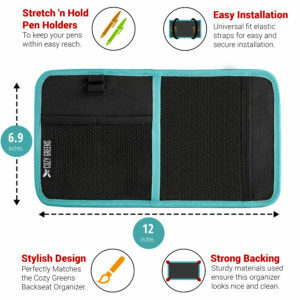 Perfect for all your electronic accessories, the convenient pouches allow you to place your device in one of the pockets and find it quickly when you need it. Never worry about losing your items, breaking your phone or sunglasses on the pavement when getting out of the car, all your things will be tightly secured in the visor. Fits Perfectly into most vehicle models, and will not slip off with a tight turn or by quickly putting down the sun visor. Don’t cram all of you papers into the glove box, or worry about your electronic devices sliding onto the floor. 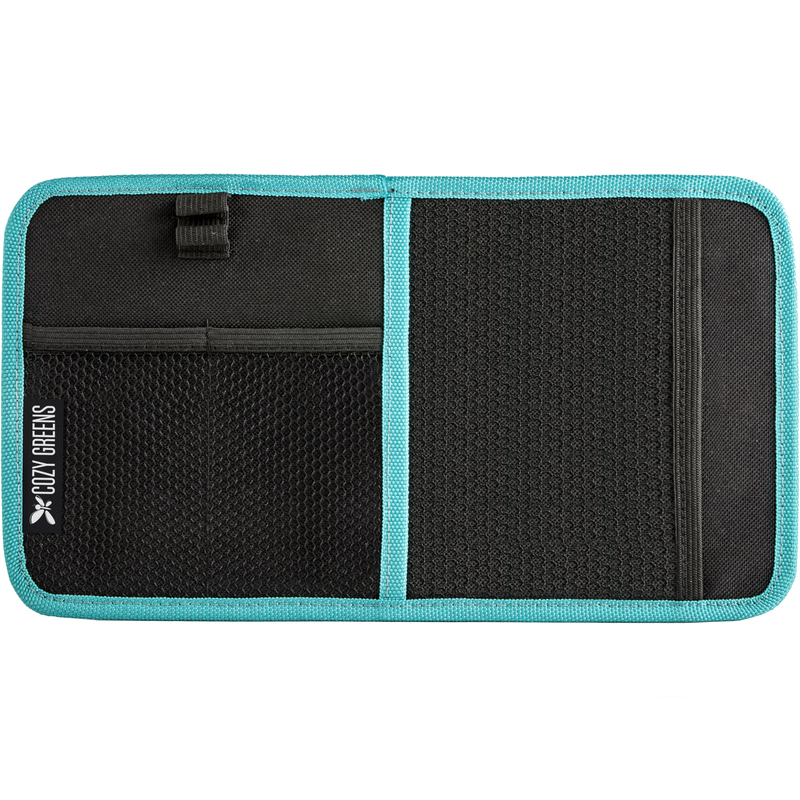 Straighten up your ride with Cozy Greens visor organizer, everything right where you need it, instead of all that searching. 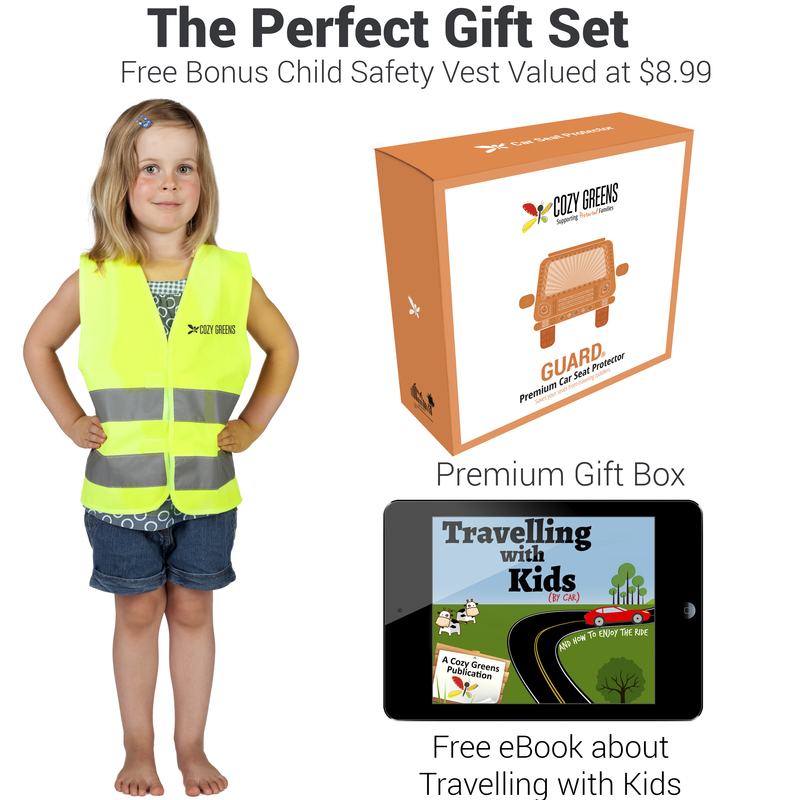 Especially handy for commutes, accidents, traffic stops and many more situations when you need your things where you can find them. 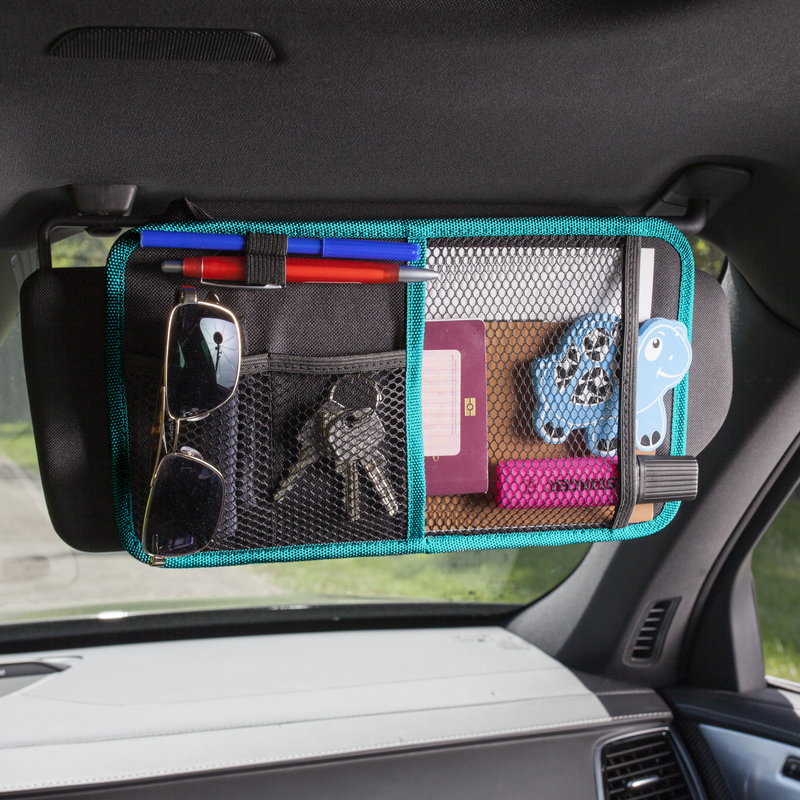 Click ‘buy now’ and get your sun visor organizer today!